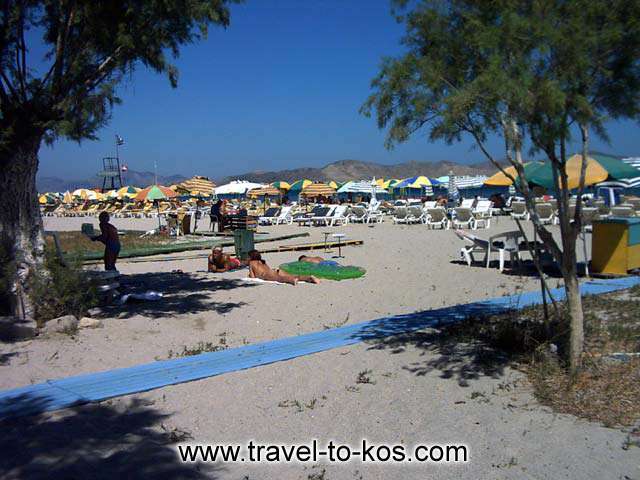 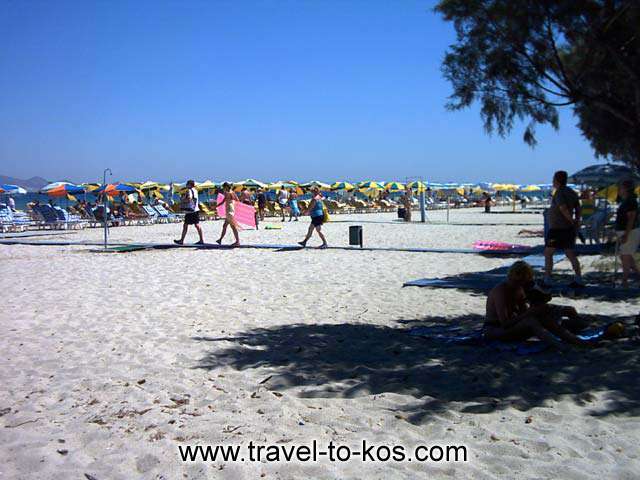 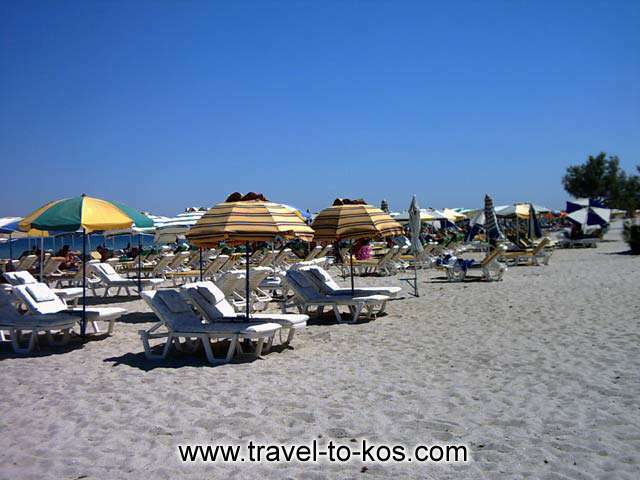 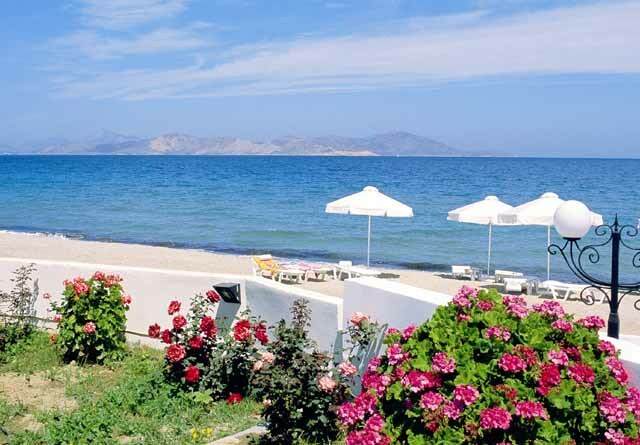 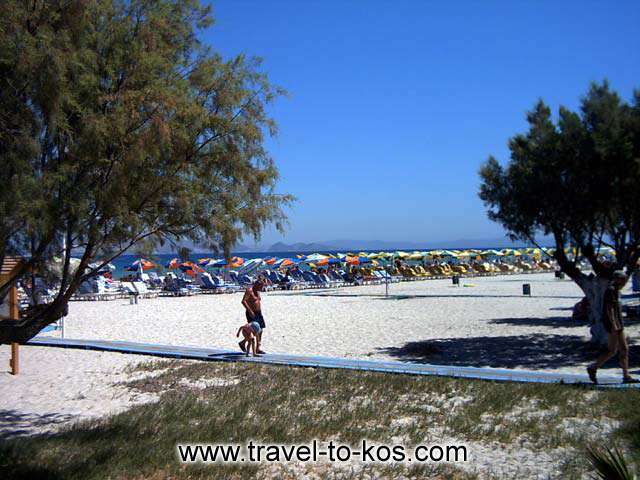 Tigaki (or Tingaki) lies just away from Kos town on the North part of the island. 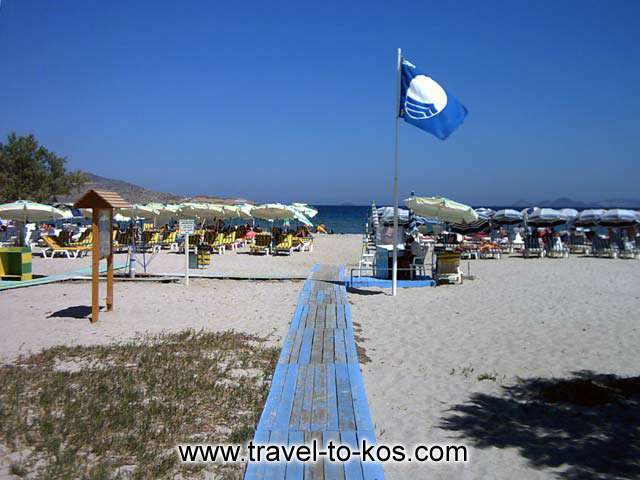 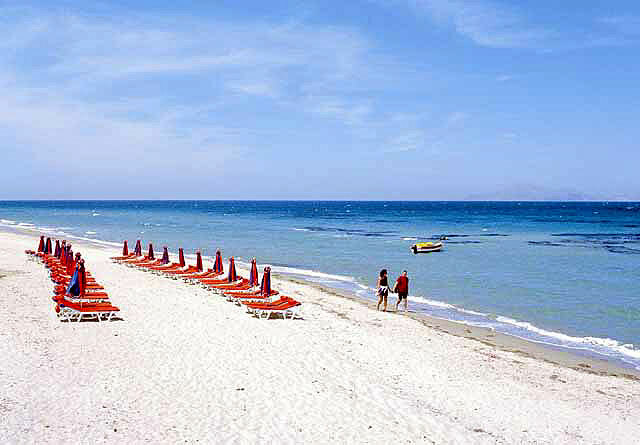 Is is a long 10 km of white sand beach. 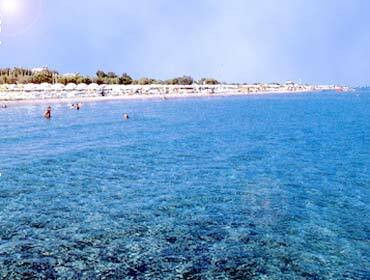 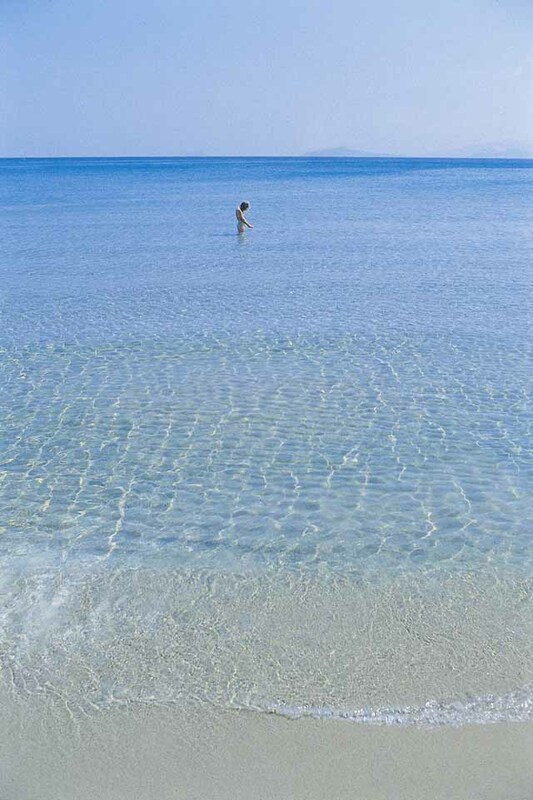 The shallow waters make Tigaki ideal for kids and an easy place to swim and have fun with the waves.